HR is undergoing something of a revolution with the influx of analytics people. It’s true that compensation has always been steeped in numbers, but in general HR has been staffed by “people” people; and in some cases by people who explicitly chose the profession because they didn’t like math. For me, the signal that this revolution is real is the increasing number of people who have “HR Analytics” as part of their title. The gap between the numbers people and the “people” people. Today, we’ll look at the problem of vagueness; in a future TLNT post we will look at how to close the gap between the numbers people and the “people” people. It’s quite right that leadership wants HR to be more rigorous, and it’s also right that analytics can help bring rigor to HR. The trouble is that few companies are clear about what they really want analytics to do. One way you know that something is awry is that you keep hearing the same examples over and over again. For example, bring up “predictive analytics” and consultants will mention using analytics to predict when individuals will leave. 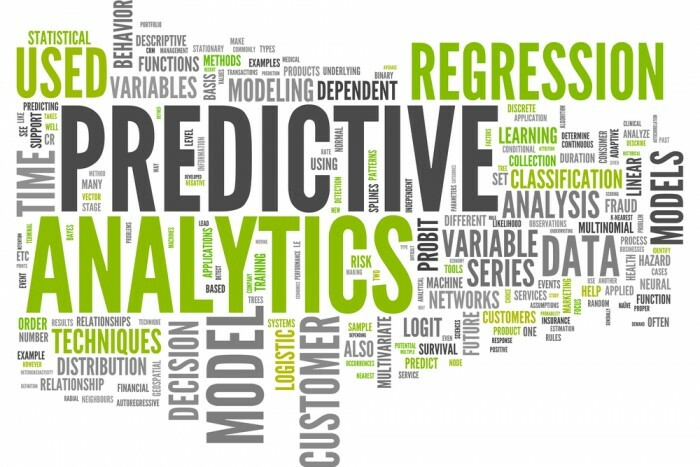 OK, that might help, but what else can we use predictive analytics for? You may not get an answer at all. People start getting vague about the value of the technique when asked to go beyond one or two familiar cases. Another signal that something is wrong is that when HR does produce data that someone has asked for, such as a dashboard, only to find managers look at it once, get bored, and ignore the results. The HR analytics manager works hard to create information, but there is a big gap between having the information and having the managers act on it. The HR analytics manager is in dangerous territory if he or she has only been given a vague mandate for what HR analytics is meant to do or if the things they are meant to do don’t result in any new action. In my work with my HR community of practice, I help HR analytics managers clarify which question they are trying to answer, or a decision they are trying to make. That hardly seems radical, but it stands in sharp contrast to people asking “What HR metrics should I use?” or “What should I do with all this time and attendance data?” Yes, it is possible to start with the tool (analytics) and then look for a way to use it, but that approach is much more likely to fail than starting with a good question that needs to be answered. So the first step a successful HR Analytics manager should take is to have conversations with his or her HR colleagues (both those in centers of excellence and HR business partners) to seek out questions that need to be answered or decisions that need to be made. Make sure the people are senior enough to be involved in making decisions, not ones who are busy executing the work. Don’t just leap on the first question you find; try to get at least one reasonable question/decision from each person you talk to. There is nothing wrong with having several rounds of conversations since as you go through this simple process you will get better at probing for good issues. At the end of this process, map out all the questions in a two-by-two grid of “importance” and “difficulty.” That should help you zoom in on the issues where HR analytics is most likely to have an impact (i.e. questions that are important and the analytics required are not too difficult). When you have a question that is important and manageable, it usually is reasonably clear what the HR analytics manager needs to do, and it’s quite clear what the HR leader responsible for the issue will do with the insights analytics provides. It will also reveal that sometimes analytics per se isn’t what is needed to answer the question or to make a better decision, because that takes us down the very productive path from the narrow world of HR analytics to the broader world of evidence-based management. This was originally published on HRVoice.org, the online industry information center for Canada’s Human Resources Management Association. Co-authored Lead the Work: Navigating a world beyond employment with John Boudreau and Ravin Jesuthasan. The book was endorsed by the CHROs of IBM, LinkedIn and Starbucks. Worked with Dr. Wanda Wallace on “Leading when you are not the expert” which topped the “Most Popular List” on the Harvard Business Review’s blog. Worked with Dr. Henry Mintzberg on peer coaching, David’s learning modules are among the most popular topics. Currently David is helping organizations to get on-track with people analytics. This work led to him being made a Fellow for the Centre of Evidence-based Management (Netherlands) for his contributions to the field.